Despite the fact that these two Olympic track athletes — who happen to be married to each other — live in Eugene, Oregon together, they aren't both competing on Team USA. 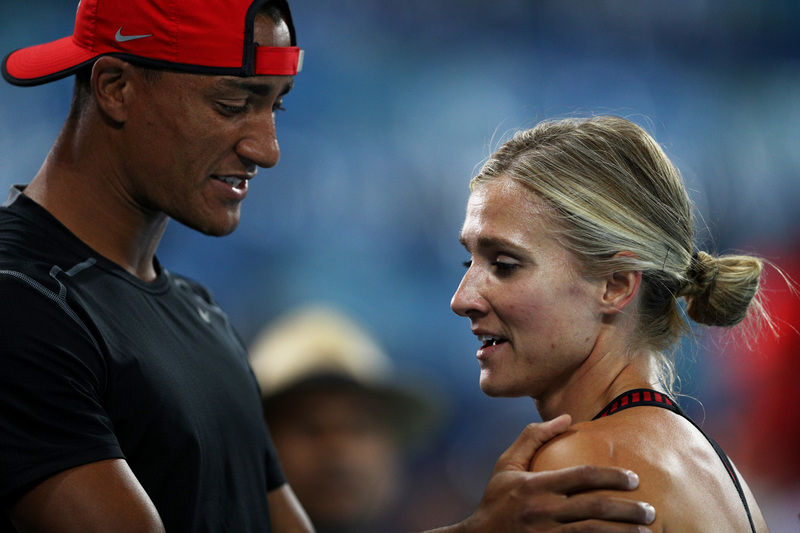 So why do Ashton Eaton and Brianne Theisen-Eaton represent different countries at the Olympics? The easy answer is that Theisen-Eaton is Canadian. After bumping into each other while sharing a hotel with their respective national teammates during their early college years, they shared their first kiss during a hotel party at the 2007 Pan American Junior Athletics Championship in Rio, of all places. As you might imagine, competing there in the Olympics as two successful, unique individuals must seem surreal for them. And being able to return to the city where their love began makes it that much more momentous. Fast forward through university, success on the international stage, and the 2012 Summer Olympics in London — all shared together as a couple. The track stars ended up getting married in July of 2013. And establishing their household in Eugene, where they attended the University of Oregon together, seems like as natural of a place as any for the international power couple to take up residence. Why fix what isn't broken, after all? However, it's pretty unusual for college athletes to keep living and training in the same place in which they attended school — at least, according to Theisen-Eaton herself. "For a professional athlete to be able to go from college, live in the same house, have the same coach and just transition to a professional environment is very unheard of," Theisen-Eaton said at a track event in 2015 covered by The Daily Emerald, her alma mater's newspaper. “Most people are moving cities and going to different coaches and trying to find training groups," she continued to say. "I think that’s probably had a lot to do with the success we’ve had early on as professional athletes, just kind of not interrupting the whole environment,” Theisen-Eaton added. So despite falling in love with both the verdant beauty of Oregon and an American life partner along the way, at the end of the day, Theisen-Eaton is still a Canadian citizen living quite the life as a professional athlete in the U.S. And from the looks of things, it seems like everything is working out pretty well for the young, bronze-winning heptathlete from Humboldt, Saskatchewan.